Cebu's BRT or Bus Rapid Transit System soon to be started building after getting fund from DBM. BRT in Cebu will improve the transportation and will help millions of lives and daily commuters in the main city of Visayas. The project has P9.48 billion of total amount. "It is expected to become the first operational bus rapid transit project in the Philippines. Only one line has been planned in detail so far, but scheme developers note the potential to develop a larger network comprising the adjacent cities Lapu-Lapu, Mandaue and Talisay. Leadership in both Lapu-Lapu and Mandaue have shown interest in the network. 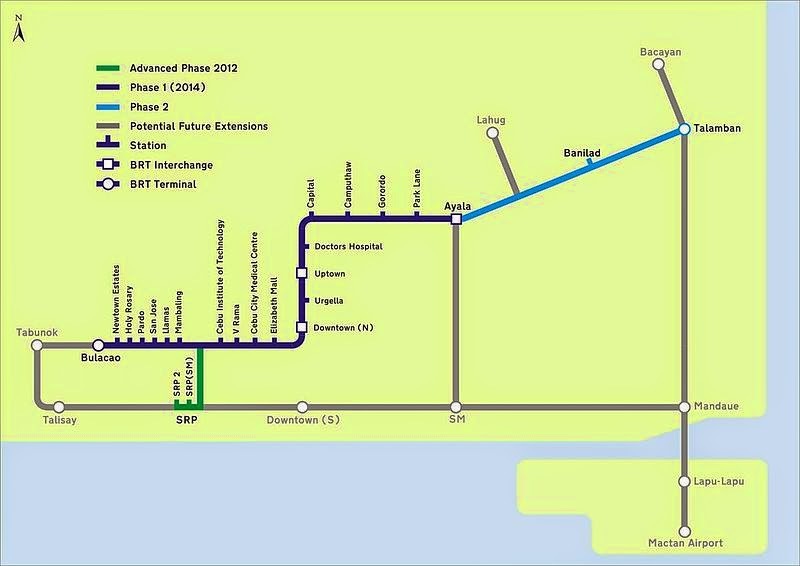 It is expected the first route could be operational by the end of 2014. " MANILA, Philippines–As Metro Manila struggles to get its trains in order, Cebu will finally get its own mass transit system that promises to improve “urban mobility” in Visayas’ main city, improving the lives of millions. The Department of Budget and Management (DBM) on Wednesday announced it had released funding for Cebu’s Bus Rapid Transit (BRT) system, which is expected to spur economic activity in Visayas. “Once completed, the project will give Cebu’s commuters a fast, comfortable and cost-effective mode of transportation,” Budget Secretary Florencio Abad said in a statement. 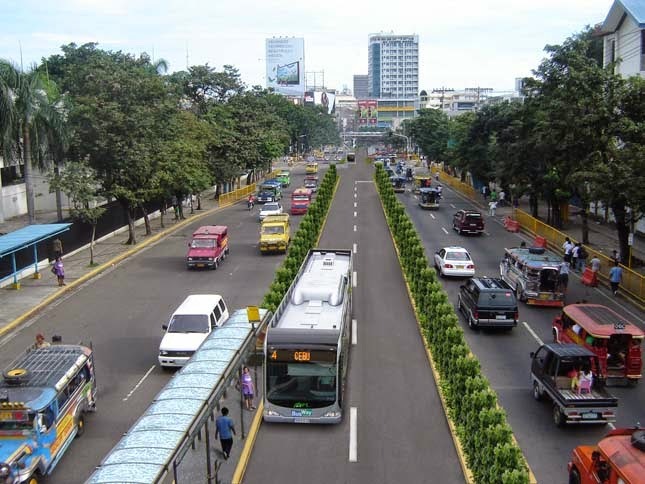 The DBM announced it had approved the funding strategy and likewise issued a Forward Obligational Authority (FOA) to the Department of Transportation and Communications (DOTC) for the Cebu Bus Rapid Transit (BRT) project in the total amount of P9.48 billion. The new bus transit—which will be funded through loans from Agence Francaise de Development (AFD), the International Bank for Reconstruction and Development (IBRD) and the Clean Technology Fund—would provide a safer, more efficient and environment-friendly mode of travel in and around Cebu city. “The main idea here really is to emulate a modern rail-based transit system at a much lower cost,” the DBM said. As approved by the National Economic and Development Authority (Neda) board, the Cebu bus rapid transit system will be undertaken this year and finished in 2018, with a total project cost of P10.62 billion. The Forward Obligational Authority (FOA) issued by DBM covers P9.48 billion of this amount—a combination of the national government contribution and loan proceeds—in accordance with the approved funding strategy submitted by the DOTC. The remaining P1.14 billion will be shouldered by the private sector and will be mainly utilized for the purchase of necessary motor vehicles. “The implementation of the project alone will open various employment opportunities for the construction and manufacturing sectors,” Abad said.